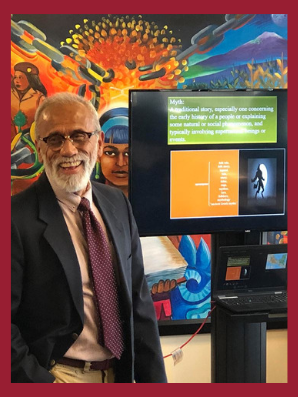 Dr. José Francisco Serratos, instructor of Spanish, established a Spanish Writing Center at the WSU Tri-Cities campus. He trained and hired Jaqueline Velasco to help him assist students on their writing assignments. She provides help to Spanish students from beginner to advanced level about compositions for SPA 100 and 200 level courses, papers for 300 level courses, and checks bibliographies. The year, the Comparative Ethnic Studies minor was extended to WSU Vancouver. Our Vancouver campus has announced open positions to hire adjunct faculty in this program beginning next fall. 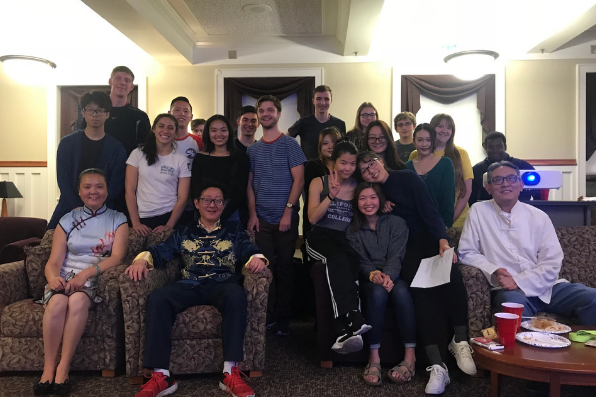 On Sept. 24, Weiguo Cao, clinical associate professor of Chinese, organized a Chinese table with the Chinese section to celebrate the Mid-Autumn Festival at the Honors College Lounge. 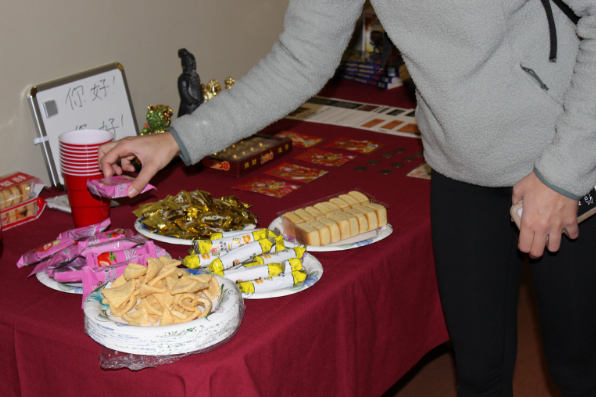 Faculty, native Chinese students, and students from first- to third-year Chinese classes practiced speaking Chinese while enjoying mooncakes and other Chinese snacks. Two students from the third-year Chinese class gave presentations on their study abroad experience at the CET program in Harbin, China. One student from the first-year Chinese class gave a presentation discussing the rising power of China and its influence on the world. A group of Chinese students, led by Anna Wang from the Confucius Institute, performed a Chinese moon song. 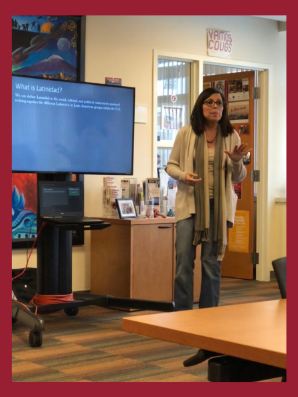 In honor of Latinx Heritage Month, Francisco Manzo-Robledo, Spanish professor and Carmen R. Lugo-Lugo, director and Ethnic Studies professor, held separate speeches to cultivate more discussion on Latinx history and culture. On Sep. 25, Manzo-Robledo discussed the history and significance of Maya and Aztec Myths. He chose myths that relate to the fall of the Aztec empire and the move of Aztecs from North Mexico to the center of Mexico. Read more about his speech. On Oct. 9, Lugo-Lugo spoke about how Latino pop culture affects the perception Americans have of the Latino community. She discussed how Latinos and Latinas have been represented in pop culture beginning in the 1980s up until present day. She highlighted the fluctuation of Latino roles on television. Read more about her speech. On Oct. 16, Japanese Instructor Kayo Niimi’s Japanese 101 and 102 students participated in a campaign to bring meals for developing countries. The campaign is known as Onigiri Action for World Food Day. Onigiri means rice ball in Japanese. Onigiri is eaten during lunchtime in Japan. 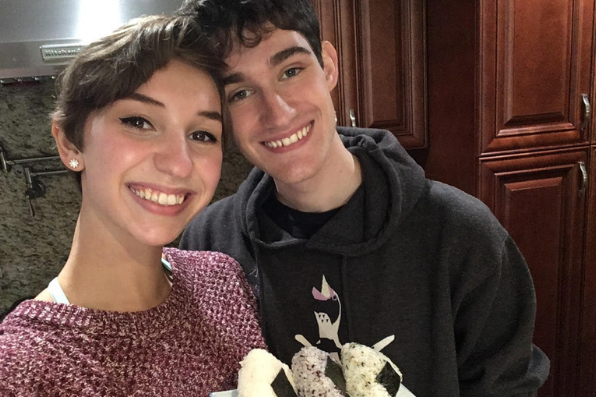 To participate in the campaign, students had to share a photo of themselves eating or making an Onigiri on social media. Each photo posted provides five school meals to children in developing countries. Niimi said this campaign was a fun way to learn more about Japanese culture while supporting a good cause. On Oct. 17, the Chinese table featured Chinese snacks, replicas of ancient Chinese coins and Sycee (a type of gold ingot currency), sculptures of terracotta warrior and Chinese mythical creatures, traditional Chinese “Red envelopes,” as well as ancient Chinese books. Students had the opportunity to learn how to write Chinese characters and to win a small prize if they wrote a character correctly. 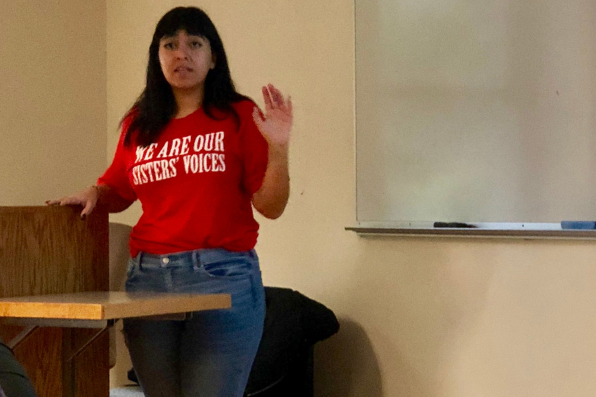 On October 26, CES minor student Alejandrx Martinez lectured in Dr. Carmen R. Lugo-Lug, SLCR director and CES professor, Foundations of Comparative Ethnic Studies class. Alejandrx discussed Gender and Capitalism. 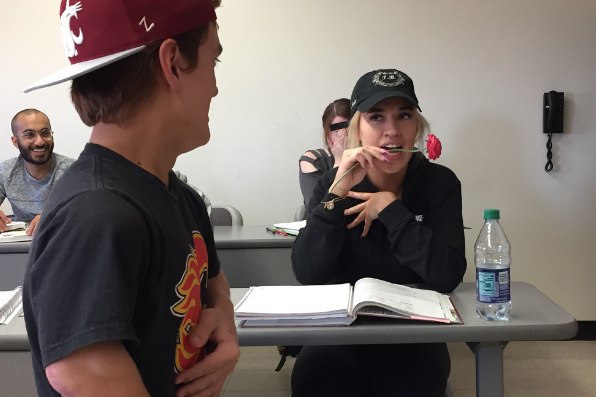 Spanish Teaching Assistant Priya Panday organized a romantic comedy activity for her Spanish 101 students. The students reviewed adjectives and used the verbs ser and estar in an improvised romcom activity. On Nov. 2, the Spanish section and Dreamers Club of WSU Tri-Cities and Yakima organized and celebrated El día de los Muertos. They showcased altars, music, and food for students and faculty to learn more about the holiday. During the event, people engaged in different cultural activities. Read more about the celebration. This year, the Spanish section at WSU Tri-Cities worked with MEChA to organize the first Latin American Fair. Students and faculty from different departments gave presentations about various Latin American countries.